Mayo (NFL Division One v Roscommon, 26/1/2019): Robbie Hennelly (Breaffy); Eoin O’Donoghue (Belmullet), Brendan Harrison (Aghamore), Keith Higgins (Ballyhaunis); Lee Keegan (Westrport), Colm Boyle (Davitts), Paddy Durcan (Castlebar Mitchels, captain); Diarmuid O’Connor (Ballintubber), Donal Vaughan (Castlebar Mitchels); Fergal Boland (Aghamore), Aidan O’Shea (Breaffy), Jason Doherty (Burrishoole); Evan Regan (Ballina Stephenites), Brian Reape (Ballina Moy Davitts), Conor Diskin (Claremorris). While the team we’ve named is a very experienced one, most focus will, I’m sure, be on the two lads – Brian Reape and Conor Diskin – who have been handed League debuts. Both did well for us in the FBD and so they fully deserve the opportunity they’ve been given. Best of luck to both of them. Saturday evening’s match is also a milestone for Jason Doherty, who’ll be making his 100th senior inter-county appearance. Given his form in pre-season I’d say Doc has a bit more left in the tank as well. Our most recent competitive fixture was, of course, that Round 3 qualifier defeat to Kildare at Newbridge last June. Saturday night’s team shows eight changes from the side that lined out in St Conleth’s Park. Out from then go David Clarke, Chris Barrett, Ger Cafferkey, Stephen Coen, Kevin McLoughlin (it’s the first time in ages he hasn’t started a competitive match for us), James Durcan, Cillian O’Connor and Andy Moran. In come Robbie Hennelly, Eoin O’Donoghue, Brendan Harrison, Donal Vaughan, Fergal Boland, Evan Regan, Brian Reape and Conor Diskin. The last time we played Roscommon was the All-Ireland quarter-final replay the year before last. 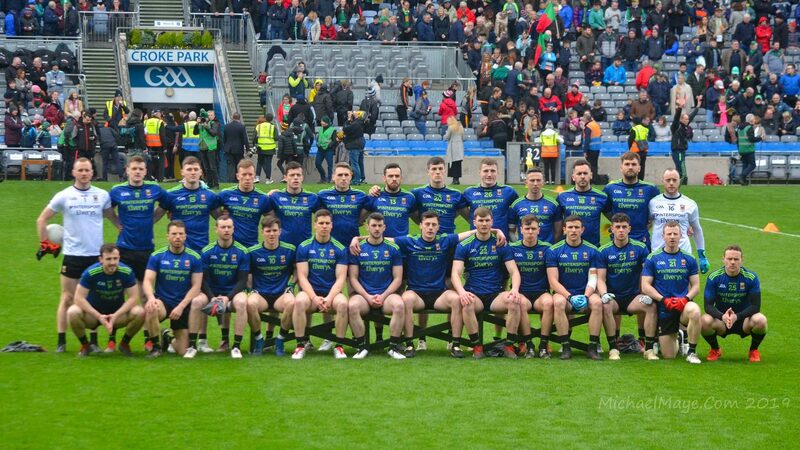 Saturday’s team has eight survivors from that fun day for us – Brendan Harrison, Donal Vaughan, Keith Higgins, Colm Boyle, Paddy Durcan, Aidan O’Shea, Diarmuid O’Connor and Jason Doherty all lined out that day as well. What’s the story with Clarke ? I know it’s only January but even Higgins is already back ! On the hop but still on the ball WJ, strong and positive team selection I think. Looking forward to the match, the real football starts now. Marker to lay down and send the Rossies back with a whimper. Their tails will be up from last week but we are overall a much better team. Km79 – Clarke is fit and available, Hennelly is being picked of him bizarre decision. All the best to the team and management the start of a new era. Paddy Durcan as captain. An interesting but brilliant choice in my opinion. Only three players over 30, avg. age of 26. Serious power up front with Aidan, Brian Reape and Conor Diskin. Hi guys haven’t been on here for a while… strong team hope fitness is ok for the older lads wouldn’t want injuries there … recovery could be slow. Hope to see Evan Regan getting ball in front of goal plenty of youth to do the heavy lifting up front . I also hope Evan has 1000 balls kicked since his below par free taking in Newbridge . A good mixture of youth and experience, I will be at the match, for sure, Up Mayo! By the sounds of it the weather is not going to be great with rain and strong winds forecast. It’s going to be tough slog and a big physical test for Boland, Regan, Reape and Diskin. Conversion of frees will be critical. Paddy Duurcan a great choice…. @ Pj. When was Evan below par in Newbridge? Are you talking about the game in June? I was at the game and he was on the subs bench and never came on from what I recall. He’d be some player taking frees from the subs bench. Great to be back and raring to go! Best of luck to the team & management. Surely Clarke will get game time soon, he commands the box far better than Hennelly. That’s my two pence worth!! Here’s hoping we return to winning ways. I’m a little disappointed tbh with the team. Ok, Reape and Diskin are good prospects but other than that it’s the same old faces: which is a tad disappointing. Boland, Hennelly and Reagan have been tried before so let’s see how they get on. It’s obvious now that there’s no new full back coming through which is a concern and I would have liked to have seen a youthful option in midfield. I really do hope we see more young players been tried in the league because if there’s one fair observation to be made about us since 2011 is the continued reliance on much the same players all the time. Going on the record right now that I endorse this lineup. If it doesn’t work, I won’t complain. I don’t want to hear that JH didn’t go “all in” to win this winnable game. Love the options he has coming off the bench to change it up if needed/when needed. Let’s take care of business early — we can work in the new guys and work on the deficiecies once D1 is put to bed. Don’t get too carried away with the lineup, we all have our favorites whom we are certain should make every starting fifteen?….It doesn’t always happen, very rarely in fact.. But at this stage of the year, I think we should leave it to the management, assuming that this selection is the actual selection that will start…..Something that in a previous tenure in charge that James Horan tended to do, stick with his midweek selection…Yes Willie Joe, it’s an an absolute age since Kevin McLoughlin didn’t start a competitive game for Mayo, if we don’t see him on Saturday night? Don’t worry it won’t be long until we do…. I remember, it must be five years ago, or more when Kevin McLoughlin didn’t line up for Mayo, a game in McHale Park, back then, Kevin had completed over 50 consecutive games for Mayo, 53 if my memory serves me right……….. It’s a huge day for two of Mayo’s top top player’s, Jason Doc, 100 games up when he steps on the pitch next Saturday, and better he seems to be getting, and of course, Captain Paddy Durcan, an excellent choice. A real go to man, when Mayo are a point down and time running out…It’s a huge honour for both of these fantastic Player’s… Best of luck to our two debutants, Brian Reape and Connor Diskin, they have earned the right to be there, and congratulations to both of them…. The Rossies will turn up in Big numbers, they should be full of confidence following their FBD final victory over the tribesmen…. From what I heard that performance was heavy on the packed defense, and that’s something that Mayo’ have struggled with in Castlebar in recent times … It’s a slightly narrower pitch than many provincial grounds, and the surface is not as good as we would like…. So on Saturday night next, I expect the Rossies to do something not previously associated with the Primrose and Blue, and that’s pack the defense….If I’m right about this, I don’t expect that James Horan and his charges will be surprised either….It should be a great occasion, almost seven months since Stephen Rochford’s last stand (before he went to Donegal) Newbridge or Nowhere, now where did that seven months go to?…. I can almost smell the Chicken Curry in the the Sportlann for the post Match, post mortem or jubilation…. Think drake is unlucky not to get a start in defence. Great opportunity for reape and Diskin. Even if new lads play well next week I wouldn’t be getting carried away though. Must be about 3 years since Regan was MOTM in a league game we had to win against the rossie. He hasn’t really pushed on at all since then. Think boland could have a breakout season in 2019 too, really interested to see how he gets on. I think it is only fair that Boland and Regan get another chance. Boland has serious potential and is getting older and possibly a small bit harder. No doubting his football skills. Regan was assualted playing for Mayo and simple justice would dictate that he is entitled to prove himself. For me it is essential that we beat Ros, Galway, Kerry (remember Regan) and Cavan. No reason why we should not beat them. Very happy with that line up. Apart from one or two its the team I would have picked. It looks like James is going to go with Hennelly at no.1. Not my first choice but so be it and best of luck to Robbie. He knows he’s one mistake away from being dropped so hopefully this focuses the mind. His kick outs need to be a real weapon going forward for us if he’s going to be worth his place. Think O’Donuhue, Boland and hopefully Reape have a real chance of cementing a starting place over the league campaign. Thinks its a bit early for Diskin but if he’s retained in the squad he could be a great option of the bench later in the year. Has Paddy D being named as captain for the year? He’s a great choice in my opinion. A born leader and will a mainstay in that squad for the next 4 years. Like the look of this team. Was hoping to see maybe 1 or 2 more of the younger lads (Plunkett, McCormack or James Kelly), but it’s great to see Reape and Diskin given their opportunity. Horan has clearly seen the need for some fresh blood in the forwards, so hopefully both can take their opportunity. Also looking forward to seeing how Boland gets on. A lovely footballer, one of the best foot passers we have. Always have some concerns over his physique and ability to handle the physical side of things, but hoping he can make an impact Saturday night. Expecting a tight physical battle with the Rossies, who will surely employ a packed defence. We’ve struggle to break down blanket defences previously, but still expecting us to pull through this one by a few points. Hennelly needs game time as well .. Clarke will probably be there come championship but valuable game time for Hennelly if Clarke got injured .. Big opportunity for the new lads . Feel Regan must play well to silence his doubters ,( myself included!). Good mix of experience and youth to call on which could be crucial as only see a few points victory . A great start to the year would be a win especially against the Rossies , especially for those of us that have to work with them !! Seamus went through a run of bad injuries that he struggled to clear up properly. The plan is for him to return to club football, get a season under his belt injury free and then return to the training squad. From the team named it is obvious that we are going to look to dominate around the middle third where I expect Aidan to drop back as a third midfielder and Doherty to scrap for any breaking ball. Those two, with Diarmuid and Vaughan, should be more than enough to cope with what is a relatively light Roscommon midfield. I hope the plan is then to get as much ball to Boland as possible. I believe he is perfectly suited to a “free” play-maker role as he is constantly on the move, has endless stamina and will be almost impossible to man mark as he is always moving. He is the nearest thing to Mark McHugh that we have and don’t be fooled by his slight size. He has enough ability to build an attack around him and he offers us something different up front. Plus he is by far our best foot passer. He can deliver accurate 30 m and 40 m passes by foot to Diskin and Reape, who should be looking to make use of the “Forward Mark”. Hopefully, Regan will feed off any loose ball or quick passes from the other two inside forwards and his pace and finishing ability close to goal should do the rest. Regan is not the type of player to win and retain his own ball, but, if we get the ball to him close to goal he will finish off moves with scores. I believe with Boland and Regan we have two very different forwards that can do damage but only if we play to their strengths. Some of you are making it sound like last chance saloon for Boland. It’s only his third year with the panel. He looked like a very clever footballer with an eye for a clever pass when he appeared in 2017. I agree that he looked light but he has come on since then In 2018 he was involved with Tooreens fine run in the stick fighting.If not for that we would have seen more of him under Rochford in 2018. He has promise and in my view adds more to our attacking play than other forwards who have been on the fringes of the squad for much longer. No issue with Robbie, our no. 2 needs game time and hopefully he will grab the opportunity to put serious pressure on for the jersey. Also has better lower trajectory kickouts which give better chance of team fluency at this early stage of the year. Performances important for building confidence and higher percentage from kickouts (unless pre planned when Clarke was excellent e.g. Kerry replay 2017) helps this. No issue with Boland either. He has better distribution than either Cillian or Loftus who are the other playmaker options along with Kevin Mc who could be given any one of half a dozen other jobs. Not convinced with Regan selection though as he’s gotten quite a few chances. When Kerry give similar chances to fringe players they invariably shine. If he could bag a few goals in any game time could be a big boost set to confidence. Same with Donie in midfield in January. Usually looks bulked up this time of year whereas he might be flying and winning the beep test in training come April. He’s experienced anyway & midfield is too hot a position for young pretenders, would blood any such players well into games when physicality has dropped so disagree with any comments on that. Also we have Aido to help out there. Hop J Doc out in HF line in absence of Kevin Mc as he’s our 2nd best forager. Caught on the hop Willie Joe? I’m stunned! Team named at midday Thursday – what on earth is the world coming to? And that’s the team that will probably play! Interesting team. Reape looked very good in Carrick, and by all accounts Diskin did well in Tuam – I was impressed with him against Derry and Kildare last year at U20. Free-taking should be covered with Evan, Jason and probably Brian Reape also. And Robbie for the long ones – improve those percentages Robbie! Interesting too that there is no newbie chosen in any line except the FF line. And, given that Evan hasn’t held down a regular slot, it’s quite experimental. As others have pointed out we should have a strong bench – Drake, Coen, Seamie, Andy, Conor. Would like to see a couple of newbies make the cut of 26, but I guess we’ll have to wait until Saturday for that. Good solid side with a tinge of experimentation in Boland, Reape and Diskin. Really important that Aidan O’Shea is in there as ballast for a relatively experimental forward line. Not too worried about Reape and Diskin coping as they’re well able for the physical stuff. Boland is definitely a bit lighter but he’s more of a baller anyway and his game is about movement and letting the ball inside. I agree with many others that he’s got loads of potential. Regan has had a couple of chances but he was also seriously unfortunate last year. He was moving really well before being taken out against Kerry. Never recovered but that’s hardly his fault either. Relatively happy with that team selection. Good to see Horan taking it seriously, yet giving youth its chance. I think Boland and Regan need to really perform, personally not convinced either a them are what we need. I feel they struggle big time against physical teams, and Boland seems to lack pace and strength. Still im hoping they take their chance and make best of luck to them. Roscommon playing ultra defensive football now, which isn’t suprising after the cricket scores conceded a few months ago, so they’ll be hard to break down. Their forwards lack guile but can pick a score from long range, so we need to becareful. Utilise Aido and the mark rule and we should have 2 points Saturday evening, but with time of year and forcasted weather it could be very tight. Finally, I hope Reape and Diskin continue where they left off against Galway, both the exact type of players we need. Tall, strong and have great speed. Best of luck to them on their league debuts. Mayo by 5. Boland definitely deserves his chance, never got going last year with his late involvement with Tooreen and never made a matchday championship panel afterwards which I was surprised with. He is in the kevin McLoughlin mold and can make things happen. Think the manager has picked the right mix here of experience and youth. Reape and Diskin need to be thrown in for a string of games not swapped in and out so as to develop an instinctive inside partnership. I see some people are mentioning free kicks and its not really been a topic the last few weeks. When Cillian was injured last year, Conor loftus was his direct replacement and put on free kicks. Jason took a few frees in the league and wasnt that successful, not sure was it the mangers decision to give the freekicks to Jason in the fbd when the was a few others on the field who could have done it. Based on these games looks like its Jason’s job to lose. Can’t agree with suggestion Boland doesn’t have pace, very good sidestep. His one weakness is size. In 2017 championship vs Galway in Tuam was reluctant to go into tackle highlighting how physical the intercounty game now is as you can see he has done some work in the Gym but he’s up against serious physicality. Also as I recall has been targeted on opposition kickouts I think it was vs Tyrone. Apart from that really good footballer with excellent vision. Maybe any extra S&C since then will be enough. As for long range frees, I think Robbie’s percentage is a bit low compared to some other goalies who come up. Not sure it’s worth persisting with. OK 45 needs shot attempt but anything more than 48 or off to side I would go for the mark instead. Probably 40% success rate. 60% would be acceptable as a tactic. I think Robbie took a few frees that werent really on in the last two games better off taking them short, cant really fault him for trying as he is trying to make an impression like everyone else. I would also rather we used a player to take long range frees that we are confident will be starting come summer, not sure Robbie falls into that category, or is he. Think Paddy Durcan is a good choice but for me it should be Leeroy as I think you really need him leading the pack if you want to take down the Dubs ultimately. Solid looking team. I like it. That half back line. Yes! Wouldnt get too hung up on the capataincy, its a token role and not really important. Plenty a leaders in that squad which has been proven time and time again. Kerry rotated their captain for years, which ever player was the current club county championship winner, irrespective of their ability or leadership. Didnt stop them hoovering up sam year after year. A good mix and of youth and experience and a serious bench to bring on. My main worry would be Roscommon packing the defense and hitting us on the break, they have some good fowards. Mayo have never played well against the blanket. Best of luck to the management and team. Really feel that full forward line will struggle against a mass Ross defence on a cold blustery January night in Castlebar and but even if they do struggle we should not be calling for heads after one game. It takes time to get up to speed in a Co senior team so patience is crucial both on the sideline and in the stands. If one of those lads plays a blinder on Saturday it doesn’t mean he will repeat it the next day and if he has a stinker the same is true. So give young lads a chance without being too hasty to judge. I expect a difficult game and will be delighted with a win of any kind. Maigh Eo abu. I don’t agree that the Captaincy is a token role, or at least it should not be. The captain should be the No 1 leader on the field, able to read a game and implement the managers ideas when things are not going our way. Against Galway in the FBD when they were coming back at us in the second half we did not chance a ball into our full forwards but played across the field inviting them to come on to us. Inevitably we paid the penalty [no pun intended] with the late goal. That is where a captain should be directing operations. It’s not easy for a manager to get a message across the field in these circumstances. Really looking forward to the match now .. Heading down early from my midlands base . 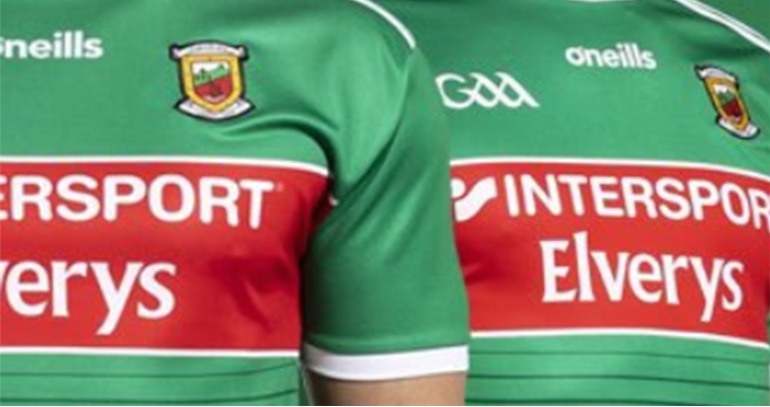 The mother will have the fatted calf ready and over to Castlebar early and have the car parked – faced for home .. Something unique and special about being a Mayo supporter !! Safe journey to all and let’s get behind James and the lads . Happy New Year all, although it is probably too far into the year to say that at this stage! Firstly, I am excited to see what this year brings now that we are back to the meat and bones of things! I am looking forward to a baltic night in Castlebar Saturday, as somebody said earlier, you can never beat the Rossies enough. I expect them to site back and defend deep. It will be a good test of James Horans tactical evolution to see how we perform against a blanket defence which has been a problem area for us down the years. I am also excited to see the evolution and intigration of the new players into the squad, but am accutely aware, building another team will take time. I would say we should be aware of this fact also. To see a few of the older guys haveing to fight for their place and have, from what I hear, ferocious competition for places even at this stage of the year is promising. The younger guys are used of winning, which is a great mentality to bring into the gorup. I like the look of the line up named, specially the back 6. The Robbie vs David debate will always rage on. At midfield we have athletic guys which are definitely required, hopefully we have learned lessons from the previous years re: discipline. In the forwards, I feel a couple of guys are sweating for position on the panel. This group of matches is probably make or break for Evan Regan. I hope he gets a good run and gets a bit of confidence, as he is a good guy and completely dedicated. He has had two bad doings the first couple of rounds in the league previous years and missed months when he has started to look good. As everyone else, I thought Fergal Boland looked very good in the fbd, but also in club in the last ouple of years. Brian Reape once he gets his fitness up is probably a nailed on starter for years to come and exactly the kind of forward we have been missing. Diskin and Mc Donagh are afraid of nothing which is a great trait. With Cilian, Kevin Mc to come back, things are looking good. The real addition to the squad I am excited to see, is Ryan O’Donoghue. He has a natural playmaking ability that is missing from the group of forwards currently and would be regarded as a “trequarista” in that sport they play across the water. Genuine competition for places is what we potentially lacked. One plus for JH already. This is a great opportunity for Conor Diskin and Brian Reape as newcomers to show us what they can do. Playing well in the FBD is fine but this is serious inter-county football and it wont be easy out there on Sat night. This is a real test for them. Best of luck to both of them. Not forgetting Fergal Boland or Evan Regan – I agree with others when they say they deserve a chance as well. Wouldn’t it be great to see the emergence of a really dangerous forward or two who would put the wind up an defence! I also agree that we need to be patient and balanced in our judgment of new lads. There was a time in the early days when I was not 100% convinced by Colm Boyle or indeed Lee Keegan but see how that worked out.